1) What are the types of accounts that can be opened with Motilal Oswal? 2) Am I eligible for opening a Demat and Trading account? Any individual resident of India, HUF NRI, proprietary firm, partnership firm or company can open a Demat and Trading account with Motilal Oswal Securities Limited (MOSL)*. 3) How do I open a Demat and Trading account with Motilal Oswal Securities Limited (MOSL)*? There are 4 power packed ways to open a Demat and Trading account with MOSL*. Fill up your basic details. 4) What is Paperless A/c Opening? For paperless account opening all that is required is a valid Aadhaar ID, through which we can fetch your authenticated KYC details (Name, Address, Photo and Signature) from Aadhaar Database and open your Demat and Trading account on real time basis. 5) What is Aadhaar number? It is a 12 digit unique identification number that stores demographic and biometric information of the resident with photograph issued by Unique Identification Authority of India (UIDAI) on behalf of Government of India. Aadhaar serves as a proof of identity and address, anywhere in India. Aadhaar number is a 12 digit unique identification number which never starts with '0' and '1'. The last digit of the Aadhaar number is a check sum digit. 6) What is Aadhaar Authentication KYC? It is an electronic way of doing real time KYC of a customer using authenticated information as available in your Aadhaar Card. The Customer has to provide his/her Aadhaar number and biometrics/OTP. It enables an organization to get electronic copy of customer identity i.e. Photograph, signatures and address details, as present in UIDAI database, with customer's consent. 7) Who all can open Paperless A/c? 8) How can I open the Paperless account? Paperless A/c opening is facilitated through valid Aadhaar ID. Provide your Aadhaar ID & validate the same with 'One Time Password' which will be sent by UIDAI on your Aadhaar mapped mobile no. & e-mail ID. 9) Can I use mobile no. or email-id other than the one registered with Aadhaar for Account Opening? You require Aadhaar mapped Mobile No. or E-mail ID for One Time Password verification but for MOSL* communications you can provide a different Mobile No. or E-mail ID or both. 10) How can I view my details mapped in Aadhaar? Visit the link https://eaadhaar.uidai.gov.in to can check your details mapped in Aadhaar. 11)How can I change my contact details / Address updated in Aadhaar? Visit the link https://ssup.uidai.gov.in/web/guest/ssup-home to change your Aadhaar mapped details. 12)Do I need to submit any document for opening the paperless account? E-sign refers to the electronic signatures or digital signatures. An account opening form has to be authenticated and can be processed only after it has been signed by the client. In context of paperless Account opening, we fetch digital signatures of the client which is updated in Aadhaar and affix it electronically to authenticate the paperless A/c opening form. The e-sign is triggered at the time of filling the Online Account Opening form and is validated after One Time Password verification by the client. 14)What is IPV (In Person Verification)? In person verification refers to the confirmation of physical existence of the person opening account with us which is mandatory as prescribed by SEBI. Since there is no face to face interaction in paperless account opening, IPV is done by way of real time video recording of the client through web camera. 15)How long will it take for the account to be activated? As soon as the customer completes the In-person verification process, the account shall be activated Instantly and the client can start trading, with the Client Code & Password mailed to the client. 16)Is the username same as my trading code? No. Your Trading code is different from your username. The username provided to you can be used to access online account opening website. Trading Code is mailed to you separately after account opening process is complete. 17)Why do I have to transfer the funds online before opening the account? Funds transfer is just an acknowledgement of your interest in opening the account. On Account activation, this ENTIRE AMOUNT would be credited to your account. What's more, you can use the ENTIRE AMOUNT for trading as well. There will be NO DEDUCTIONS AT ALL from the funds that you transfer. We would like to assure you that our Payment Gateway for Internet Banking is absolutely safe and secure, there are more than 7 lakhs customer with us who use this facility multiple times daily to transfer funds daily for trading/investing. 19)Can I choose the amount for online payment? Yes. There are 4 online payment schemes available. You can choose the one that suits your requirements the best. 20)Can I start trading immediately after making payment? Almost immediately, your account will be activated after you have uploaded the proof?s and completed the In-Person Verification process. 21)Can I get a refund if I decide not to open an account with you? ABSOLUTELY, In case you decide not to open an account after transferring the funds to us, you ask for a refund by calling our customer service department on 022-40548000 or email to query@motilaloswal.com with your transaction number. We will be happy to return your ENTIRE MONEY. 22)Which banks can I use to transfer funds? We have tied-up with over 63 banks to make funds transfer convenient for you. You can transfer funds through any of the 63 banks mentioned in the following link: Link to 63 banks. 23)When will the payment get credited to my account? The payment will reflect once your account is activated. You enter MICR code of your bank's branch in the search pane. In case you are still unable to find the branch, you can send us a scan copy of cheque to info@motilaloswal.com. We would update the MICR code and get back to you. 25)Can I register my nominee? ABSOLUTELY, you will be required to fill a physical nomination form, provide a copy of PAN card of your nominee along with other required documents for us to consider the same. The nominee can be added after your account is opened. 26)Can I have a co-applicant? Currently, co-applicant provision is not available through eKYC mode. You can open account through physical KYC account opening process. 27)How should persons not eligible for paperless a/c opening open an account? 28)Does it cost me anything to open an account? We offer customized brokerage schemes suited to your trading requirements, so the cost depends on the scheme that you choose while opening your trading account with us. 29)What if I already have a Demat account with another Depository? In order to use our Online Trading Platform, you will be required to have a demat account with Motilal Oswal. If you opt for our offline trading mode, you can continue using your existing demat account. 30)What are the different modes available for trading with MOSL*? Today almost everyone has a demat account that enables to hold shares in electronic form. After all, the old method of holding shares in physical form is so very cumbersome. When you open a demat account it is more of a routine action than something that is elaborately thought through. At the end of the day, you demat account is where you are going to store your long term wealth. As well do your homework before opening your demat account. 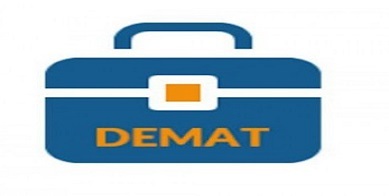 There are some key things to take care while opening demat account. You need to know how to handle demat account and the factors to be considered while open? What is the procedure to Open a Demat Account? When can you have a demat account without a trading account? The basic difference between a trading account and a demat account is that a trading account is a record of flows while demat account is a record of stocks. Can an investor have a demat account with trading account? You need a demat account to hold all your investments in the form of equities, bonds, ETFs etc. Understanding all about freezing and closing your demat account? One of the important aspects of your demat account is ensuring its safety and security. After all, the demat account is all about your share holdings and your life long assets. Registered Office Address: Motilal Oswal Tower, Rahimtullah Sayani Road, Opposite Parel ST Depot, Prabhadevi, Mumbai-400025; Tel No. : 022-3980 4263; www.motilaloswal.com. Correspondence Address: Palm Spring Centre, 2nd Floor, Palm Court Complex, New Link Road, Malad (West), Mumbai- 400 064. Tel No: 022 3080 1000. Registration Nos. : Motilal Oswal Securities Ltd. (MOSL)*: INZ000158836 (BSE/NSE/MCX/NCDEX);CDSL: IN-DP-16-2015; NSDL: IN-DP-NSDL-152-2000; Research Analyst: INH000000412. AMFI: ARN 17397. Investment Adviser: INA000007100; Motilal Oswal Asset Management Company Ltd. (MOAMC): PMS (Registration No. : INP000000670); PMS and Mutual Funds are offered through MOAMC which is group company of MOSL. Motilal Oswal Wealth Management Ltd. (MOWML): PMS (Registration No. : INP000004409) is offered through MOWML which is a group company of MOSL. *Motilal Oswal Securities Ltd. is a distributor of Mutual Funds, PMS, Fixed Deposit, Bond, NCDs and IPOs. *Commodities are offered through Motilal Oswal Commodities Broker Pvt. Ltd. which is a group company of MOSL. *Real Estate is offered through Motilal Oswal Real Estate Investment Advisors II Pvt. Ltd. which is a group company of MOFSL. *Private Equity is offered through Motilal Oswal Private Equity Investment Advisors Pvt. Ltd which is a group company of MOFSL. *Research & Advisory services is backed by proper research. Please read the Risk Disclosure Document prescribed by the Stock Exchanges carefully before investing. There is no assurance or guarantee of the returns. Details of Compliance Officer: Name: Neeraj Agarwal, Email ID: na@motilaloswal.com, Contact No.:022-38281085. * Motilal Oswal Securities Limited ("MOSL") has been amalgamated with Motilal Oswal Financial Services Limited ("MOFSL") w.e.f. August 21, 2018, pursuant to the order dated July 30, 2018 issued by Hon'ble National Company Law Tribunal, Mumbai Bench. The existing registration no(s) of MOSL would be used until receipt of new MOFSL registration numbers. Thank You for registering! Log-in details are sent to your mobile number. Go ahead & begin your application. Thank you for choosing MOTILAL OSWAL. Your prospect has been registered successfully! Go ahead and begin their application.